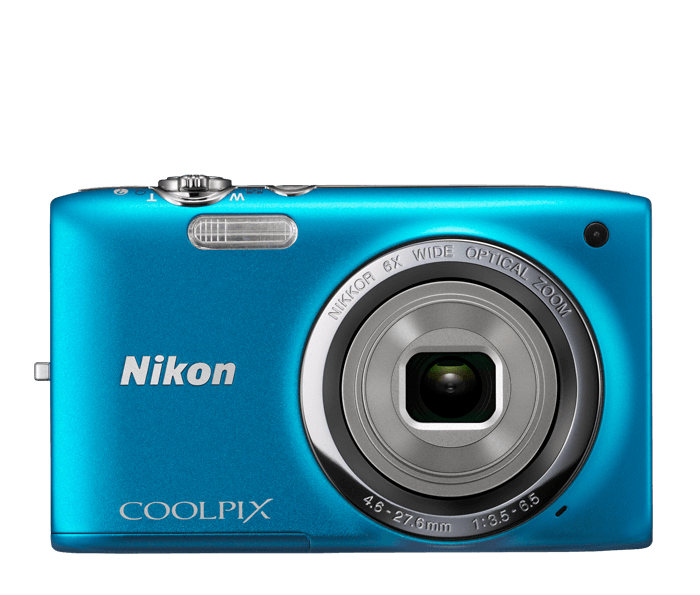 Stylish, slim and simple to use, the COOLPIX S2700 is the camera you'll always carry with you. But it's not just about looks—the COOLPIX S2700 takes stunning 16.0-megapixel photos and 720p HD videos with ease. Let the camera's built-in intelligence, like Easy Auto Mode and Scene Auto Selector, do the thinking for you, or get creative with fun in-camera special effects and filters. However you use it, the COOLPIX S2700 will keep you shooting in style. Create beautiful high-resolution photos and videos with ease. The COOLPIX S2700's high-performance NIKKOR glass lens is paired with a 16.0-megapixel CCD image sensor that captures bright, vibrant images you'll love sharing. When a photo alone won't do, press the dedicated movie button and instantly start recording 720p HD video in widescreen format while the built-in microphone captures the sounds of the moment in high-fidelity. When you're ready to share your creations, connect the COOLPIX S2700 to an HDTV and dazzle your friends and family. Easily match your situation to one of 19 Scene Modes like Beach, Snow, Night Portrait or Sunset and enjoy effortless shooting. Or, choose Scene Auto Selector and let the camera choose for you. Easily apply fun and creative image effects like Selective Colour, Miniature, Skin Softening and more, right from the camera—no need for additional photo or video-editing software.